There are only so many hours in a day. 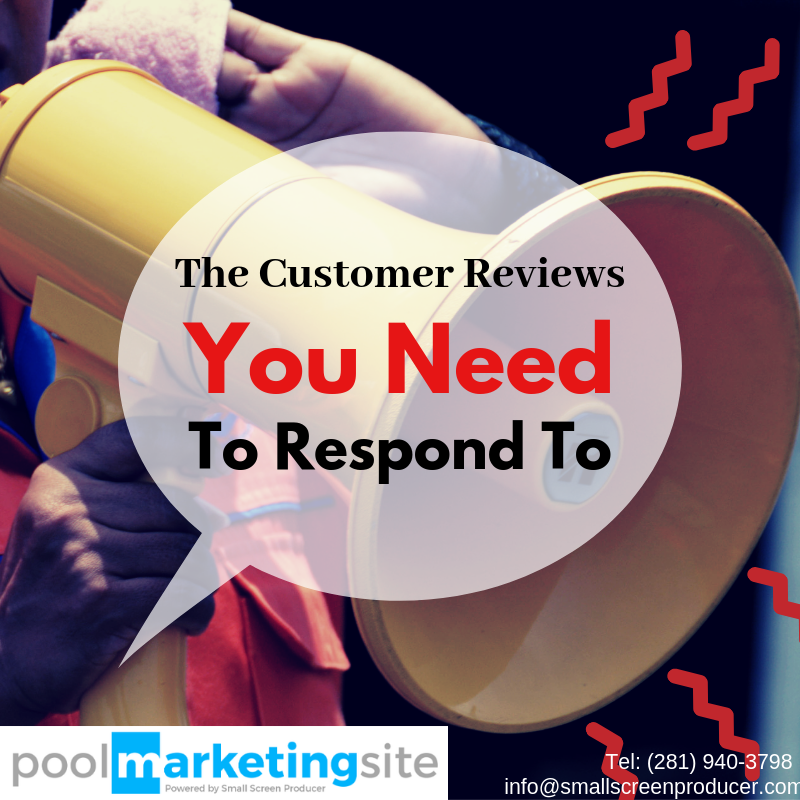 As a busy pool and spa business, responding to customer reviews online can take up a lot of time you may not really have to spare. Responding to reviews is important. According to Yext, businesses that reply to their customers see an average star rating increase of .28 (this is big considering how competitive the pool and spa industry can be!). Despite this fact, only 40 percent of businesses are responding. Here’s the good news: You don’t have to reply to each and every customer comment. To see an increase in your star ratings and to engage your customers, research shows that you only have to respond to a minimum of 60 percent of reviews. Which Reviews Should You Respond To? There are certain “types” of reviews your pool company should be responding to. Responding to low ranking reviews shows that you are committed to customer satisfaction – and this not only leaves a good impression on the customer. Google shared that its search engine also takes business responses to reviews into account when ranking for local SEO. These customers took some time out of their day to provide you with feedback. Pool and spa companies should show the same courtesy by posting a thoughtful response. Where Should You Be Responding? If you only have time to respond to customer reviews on one website, the answer here is obvious: Google. Being the dominating search engine it is, tackling these reviews first is critical. Try to also respond to comments on review websites like Yelp, and if you have a company blog where comments have been left by readers, take the time to acknowledge and reply. We get it – finding and replying to comments left by clients is a time consuming task. But one negative review can have irreparable damaging effects on your pool company. That’s why we offer an affordable reputation management package here at Pool Marketing Site. We will automatically monitor and report online activity that may impact your brand, send instant alerts, ensure local listing accuracy and more. Start off by finding out where your company stands by claiming you free online reputation report now!